Isn't that the thing though?! I simply cannot believe that we're the only living things in the Universe. 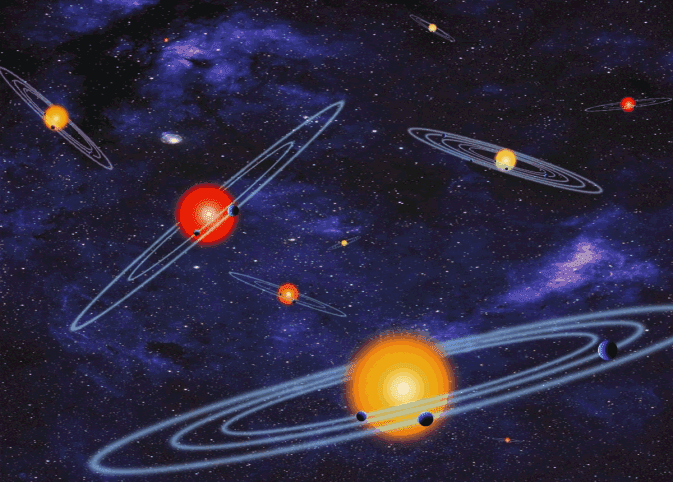 We may never meet our cosmic neighbours, but I bet they're kicking about somewhere. On a more serious note ... it does raise the perplexing theological question of the existence of multiple Christs to redeem those people on some of that multitude of planets. Plus, will they look like us because they will have been created in the image of God? Or is it a case of "There's Klingons on the starboard bow!"? Dr. Spencer! Roy! We have a belief system's crisis! Vitaminccs, I wish that I could be as optimistic about life in other solar systems but I am growing ever more doubtful that it would be a common occurrence. There are just too many preconditions that need aligning for multicellular life to flourish, and especially to lead to intelligence of the sort that could become technological. The sweet spot really is small. 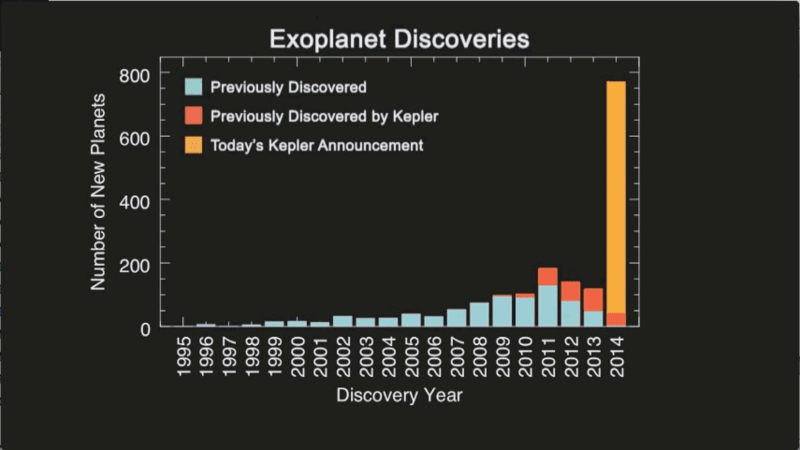 I think though that we should be able to get a better idea of the odds in the coming decade or two (assuming that our own technology doesn't result in a planetary self-immolation...) when extraterrestrial atmospheric analyses become reliably possible. The big life signature will be the presence of an oxygen-rich atmosphere around a rocky planet - a sure sign of autotrophism and an essential precondition for multicellular life. It's possible that other oxidative elements/compounds might replace oxygen, but given their known reaction products and their physical properties I wonder just how many non-carbon- and/or non-oxygen-based life systems are possible. And without an oxidative atmosphere the chance for any planet to harbour little green people is extremely low. So - to the spectrum analyses, Robin! 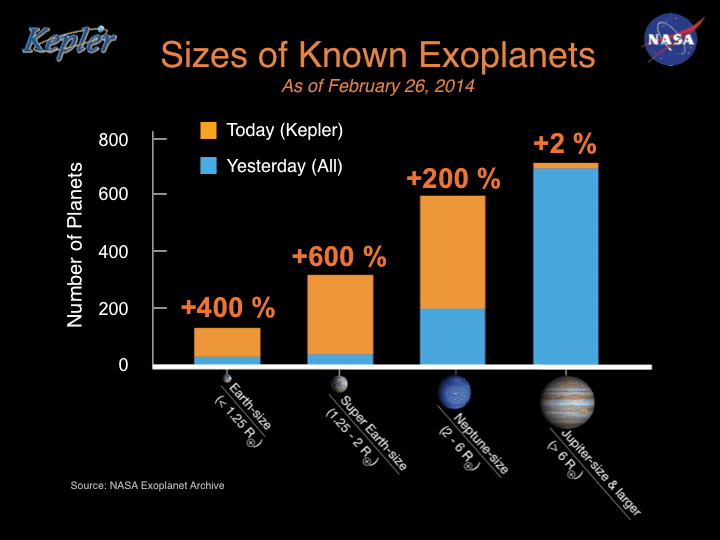 It seems like only yesterday the first exo-planet discovery was announced. The pace of advance is stunning. I'm waiting for a fake sceptic blog to spin the idea that there is "no global warming in other solar systems" - just wait.